You know the story of Sleeping Beauty: The princess is cursed by a dark fairy but is woken from her endless slumber by true love’s kiss. The heroes win, and the villain is vanquished. But have you ever wondered what pushed a Disney villain to evildoing? Serena Valentino certainly has! Her new novel, Mistress of All Evil, is a look into the backstory of Maleficent, Sleeping Beauty’s malevolent foe. 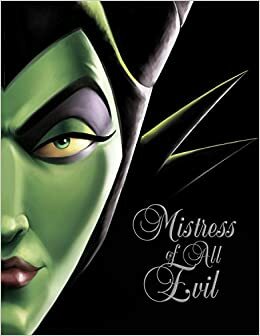 Mistress of All Evil is Valentino’s fourth take on a Disney villain’s past, following Fairest of All, The Beast Within, and Poor Unfortunate Soul. Mistress of All Evil doesn’t paint Maleficent as a misunderstood good guy, like the 2015 Angelina Jolie movie does. Instead, it shows how Maleficent went from curious young fairy to evil sorceress. It also intertwines with other Disney stories, while introducing new characters. Ursula makes a post-mortem appearance, as does Snow White, who is now queen. Without spoiling the plot, let’s just say that the good fairies are not the lovely ladies you remember! The novel is written like a fairy tale of old but is simple enough for younger readers to enjoy as much as adults. The language weaves a spellbinding tale of love and ambition, where Maleficent is both sympathetic and incredibly sinister. Heroes are twisted, villains become more complex than the original movies let on, and stories collide for a truly magical read. If you’re looking to immerse yourself in those classic stories, Serena Valentino’s Mistress of All Evil is the perfect book to do it. A complete set of Villains books was provided by Disney-Hyperion for review. How do you win a copy of Mistress of All Evil? Simply enter our giveaway via Rafflecopter below! Our contest is open to US residents only, beginning on October 19 and running through 11:59 p.m. on October 26. The winner will be chosen at random and will be contacted via email. A response is required within 24 hours, or another winner may be chosen. Don’t wait any longer! Enter now for your chance to win this magical prize pack from Disney Books and MuggleNet!